The term “Swiss-made” has always been associated with class, elegance and quality and that is particularly true about Swiss watches. They are infamous for their craftsmanship and use of high-quality products, but to truly understand their worth, we need to go back in time to when they first took over and revolutionized the market. Modern watches evolved from spring-driven clocks, which started appearing as early as the 14th century. The first watches were mechanical and simple, and it wasn’t until 1657 and the invention of the balance string, which dramatically increased precision and accuracy, that the golden era of watchmaking began. 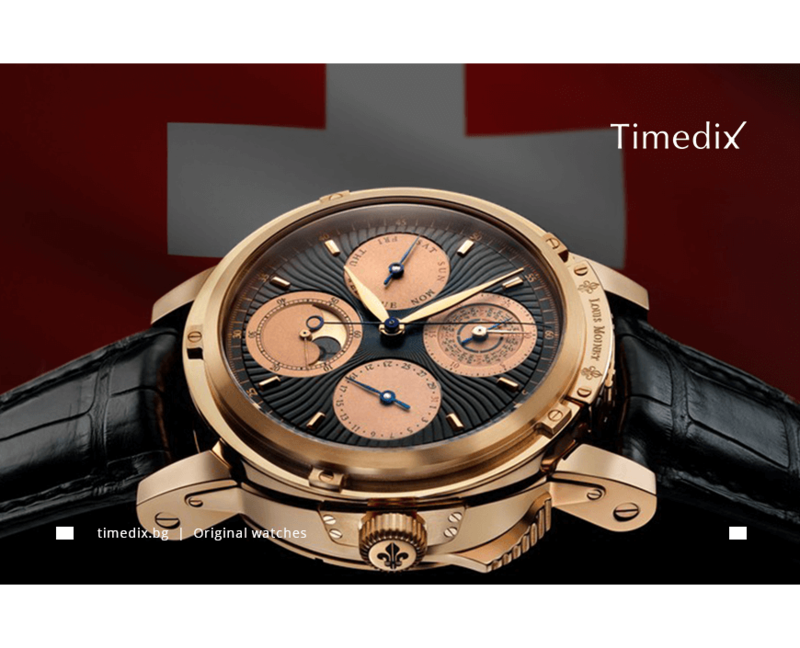 Swiss inventors have been setting a standard for quality since the 16th century, though it was in the 19th century when they started pushing the boundaries of watchmaking, inventing automatic and self-winding watches. In 1960 the first electronic quartz watches were developed in Switzerland and electronic technology in watches continues to advance till this day. Today, Swiss watches continue to be the most precise, resistant and expensive ones on the market, though the definition of a Swiss-made watch has changed over the years. For a company to be able to label their product Swiss-made, they need adhere to certain legal standards, which were codified on the 23rd of December 1971. A watch can be considered Swiss only if is Swiss or was cased up in there and if the final inspection is carried out in Switzerland. On the other hand, a movement can be considered Swiss only if it was assembled and inspected in Switzerland and the components of the manufacture account for at least 60% of the price. 1. Materials - For instance, the materials that are usually being used are of extremely high-quality and quite expensive in themselves. It is not unusual for manufacturers to use platinum and gold, as well as various other precious metals and materials. 2. Movements – Movements are incredibly complex and require great many hours to put together, as some of them contain over 390 pieces. They are made by hand and more often than not by just one person. 3. Labour – The labour is one of the highest-paid in the world, which is why companies need to charge more for products in order to make profit. What is more, most of the watchmakers in Switzerland are expert craftsmen and put all of the timepieces together by themselves. 4. Rarity – Creating a unique, high-quality watch is extremely time consuming. That is why most manufacturers, such as Vacheron and Breguet only make around 40 000 watches an year, even though there is a high demand for their products. Among other things that make Swiss watches popular among the public is the use of mechanical movement, which does not need batteries and conveys a sense of class and sophistication, and the protective sapphire crystal glass, which prevents scratches and is anti-reflective. Though perhaps, the real reason why Swiss watches are so expensive is all of that time that was put behind every single watch by true watchmakers. A great amount of the watches take up to 11 months to put together, though there are cases of watches taking 4 years to make. At the end of the day, people are paying for an extremely skilled individual’s salary, craftsmanship and exclusivity. When talking about Swiss watches, it should not be forgotten that they are considered to be part of the so called “Veblen goods” – products, whose demand is proportional to their high price. Though to the general public it might sound outrages to spend 300 000 USD on a single watch, people with money do it just because they can. For a rich individual spending almost half a million on a watch is the same as an everyday person spending a few dollars on a cup of coffee. It might sound like an incomprehensive part of the economy, but it is what it keeps the Veblen goods market going. It is true that today same precision and craftsmanship can be achieved by any talented watchmaker, regardless of the location, but the fame of the Swiss watches continues to live on and expand. Perhaps it is up to each individual to decide, if they are paying for the quality of products or simply for the exclusivity of owning this luxury good.